Until now, one user has a profile, and when they looked at an account, it would always have the page layout reflected by their profile. 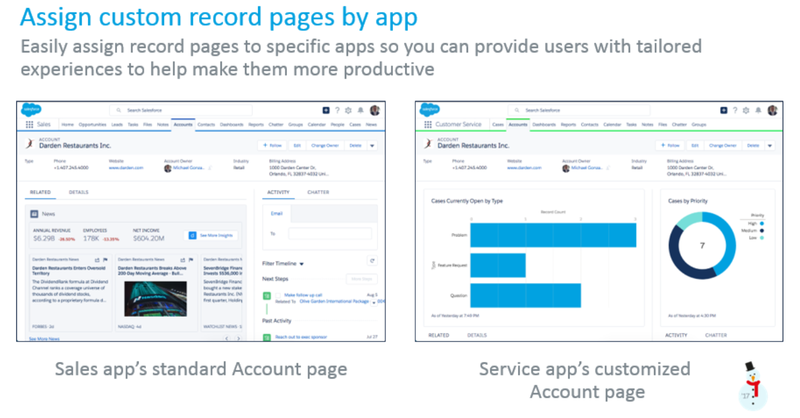 Sure, you could have different account record types, but the sales user would always see one layout for one account type. There was no easy way for them to see a different view based on what they are doing at the time. But now, all the user needs to do is switch to the service app, and they can look at the same account - and see the information they need based on what they are doing now, now what profile they are assigned. The user is in control. The admin just needs to set it up, and the user can fly.